Galvanized pipes have a coating on the inside that protects them from rusting. Over time harsh drain cleaners will eat away the coating and eventually the pipe itself. Fix a slow drain: pour in 1/2 cup of baking soda, add 1/2 cup white vinegar and follow with a pot of hot water when it stops bubbling. Tubs and showers should be fitted with strainers that catch hair and soap chips. Clean the strainers regularly. • Though ice does not sharpen the blades as commonly mistaken, it does knock off debris and keeps it cleaner. • Freeze lemon juice and grind small pieces in the garbage disposal – smells good and disinfects, too. In a plumbing emergency, you’ll need to stop the flow of water quickly. To do this, you and each member of your family need to know the location of the shutoff valve for every fixture and appliance, as well as the main shutoff valve for the house, and how they operate. Operate these valves at least once a year to prevent seizing. 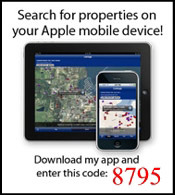 As a major Plano Texas listing broker, I spend most of my time marketing my listings and servicing clients. 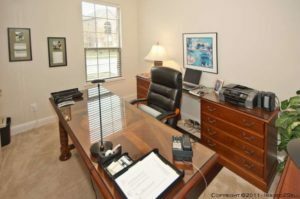 As part of any listing I discuss staging and showings with my sellers. 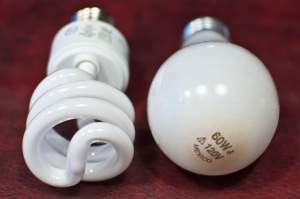 While I always discuss the importance of having lots of light in the home, I never gave any thought to the impact of Compact Fluorescent Lighting (CFL). CFLs have become wildly popular because they offer far more energy efficiency than the traditional incandescent light bulb. The downside is that CFLs take a few minutes to reach full brightness. Normally this is annoying at best. Today, I was out showing and realized that this delay might have an impact on how potential buyers feel about a home. You see, the buyers we were showing a property commented on how dark and dreary the home was! I’m recommending that sellers go back to traditional light bulbs while on the market. You can also consider one of the new CFLs out that come up to full power much quicker or LED light bulbs that have no delay. You only get one chance to make a great first impression…let there be light! 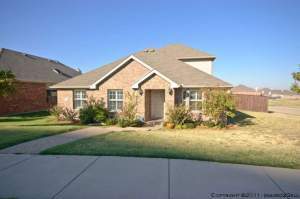 Frisco TX Home For Sale – Clean and well-maintained Mercedes home on large corner lot ready for move-in. 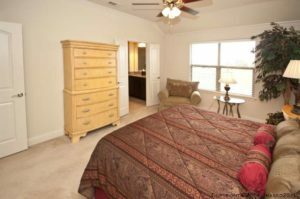 All bedrooms and full baths are down with a huge game room and half bath up. 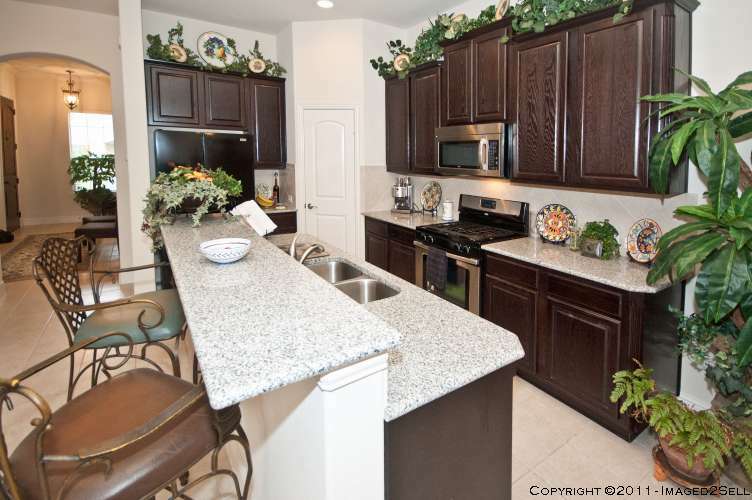 Open kitchen has granite counters, gas cook top, breakfast bar, and stainless appliances. Master retreat includes jetted garden tub, dual sinks, and walk-in closet. Plantation shutters throughout. Extended covered patio looks out onto the large grassy back yard. Easy access to Preston Rd. Allen Texas, located just north of Dallas, is a great little city and a wonderful place to live. The city continues to grow with plenty of developement–both residential and commercial. The Allen housing market has been relatively stable. This month we’ll take a look at Median Sales Price, Days on Market, and Months Supply of Housing. The Median Sales Price, which had been on the rise for almost a year, retreated some over the past few months. I expect that will recover some now that several new home developments have been completed and are beginning to sell. Days on Market has been on the rise for the past year yet remains below 90 days and below 2009 and 2010 levels. The Months Supply of Housing is very good at 4.5 months of inventory currently on the market. The National Association of REALTORS® suggests that a 6-month supply of housing is a balanced market. Supplies over 6 months indicate a buyer’s market and supplies less than 6 months indicate a seller market. Our experience is that homes that show well and are priced right continue to sell. Please contact us at 214-227-6626 if you have any questions or want more information. 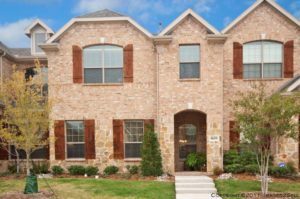 This Plano TX townhouse located at 8169 Naomi is available for lease. The 1961 square foot Sonoma sports 3 bedrooms, 2.5 baths, a study, and a formal dining room. Located in North Plano, it offers easy access to shopping, dining, entertainment, and recreational facilities. Click any of the photos for larger views. Check out the gourmet kitchen complete with granite counters, gas cook top, large pantry, and stainless steel appliances. 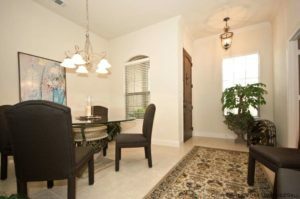 Imagine yourself enjoying a morning meal at the breakfast bar or taking your coffee out in the private patio. Check out the main living area. 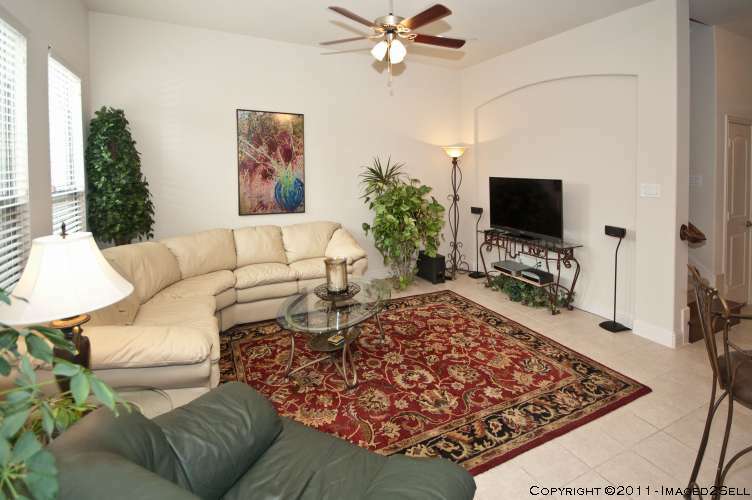 The wall of windows lets in lots of natural light and overlooks the private patio. Wow! This townhome has plenty of space including a separate study with French doors. Like to entertain? This home has three dining areas including a formal dining room. The oversized master suite has room for a king-sized bed with plenty left over. The double doors lead to the master bath. 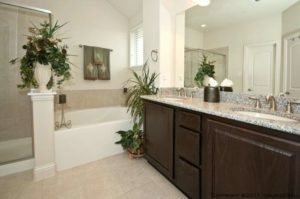 The master bath has dual sinks mounted under a granite counter top, a garden tub, separate shower, and a large walk-in closet. 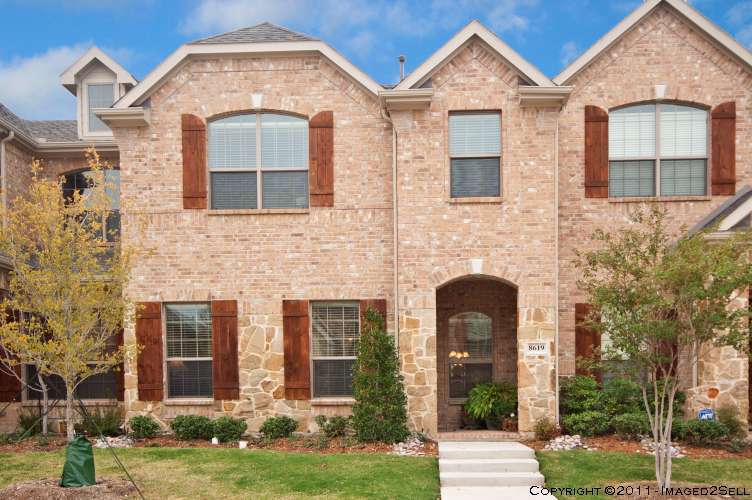 Click to see all the details on this Plano TX Townhome For Lease. Contact The Branch Team at 214-227-6626 to schedule showings or for more information. Fairview offers the warmth of a small town and the convenience of a big city. Located north of Dallas at U.S. Highway 75 and Stacy Road, Fairview is an alternative to the North Texas communities that are known for their cookie-cutter sub- divisions. The majority of Fairview is zoned for residential lots that are one acre or larger, with a few areas reserved for smaller home sites. The housing market is Fairview is very stable. This month we’ll present median sales price, days on market, and months supply of housing charts. Click on any chart for a larger view. The median sales price in Fairview has recovered nicely from the low in the summer of 2009. Zoned to Lovejoy ISD and boasting estate sized lots, Fairview continues to attract buyers. The opening of the Shops at Fairview brought upscale shopping, dining, and entertainment to Fairview. The Days on Market in Fairview remain stable at about 120 days. While this is slightly over the average in the local area, 120 days on market is still very good considering the higher price points in Fairview. The months supply of housing is slightly over 7.5 months. The National Association of REALTORs states that a 6 month supply of housing is a stable market, supplies under 6 months are a seller’s market, and supplies over 6 months is a buyers market. While Fairview is slightly over 6 months, I still believe the market is balanced given the higher price points in the area. Feel free to contact us if you have questions or need any additonal information. HomeSteps, a Freddie Mac real estate sales unit, kicked off a sales promotion this week to unload some of its inventory of foreclosed homes. 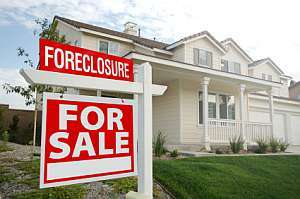 Looking to purchase a foreclosure in the greater Dallas area? Contact us to work with a team of certified distressed property experts.